The desert, in this case, is the arroyo behind the three mile long dam built to protect Las Cruces from floods of water coming down from the mesa into the valley. Plants get plenty of water from the runoff of the rains. The weather is moving toward fall and a few days have been cool enough for a walk in the sand during good photo hours. 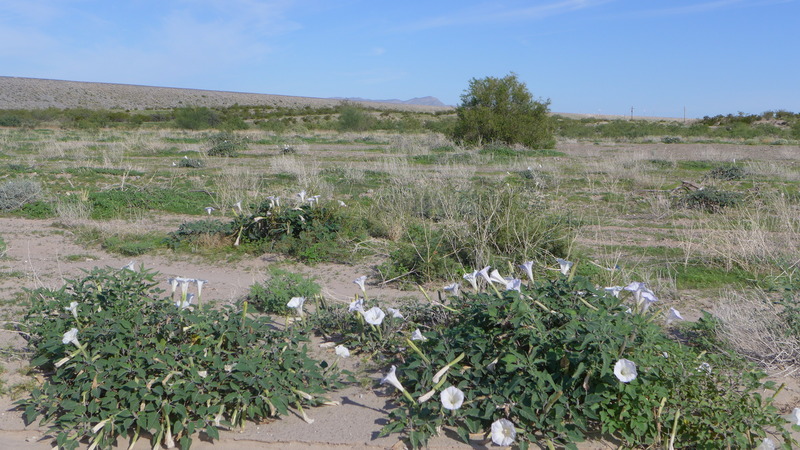 Above the yellow Bahia and the white datura (jimson weed) with the dam in the background. The city is right on the other side. Below, some datura close up. Another native plant which has been enjoying the weather is the potato plant. Like the datura, it is poisonous. 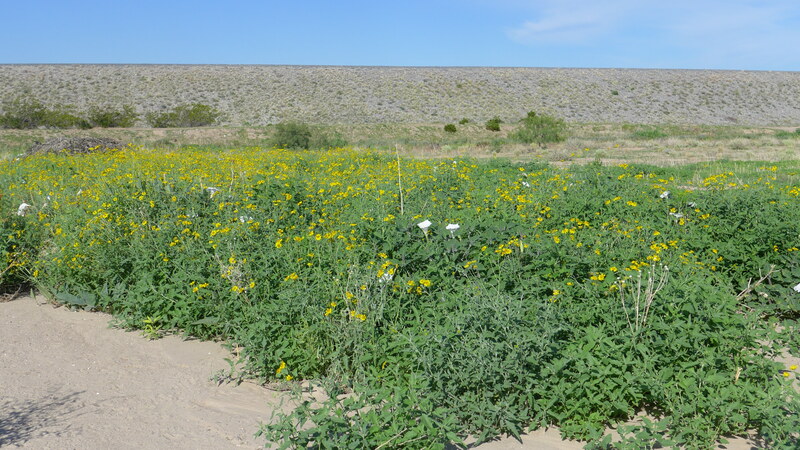 The dominant perennial plants here are creosote bush and mesquite. 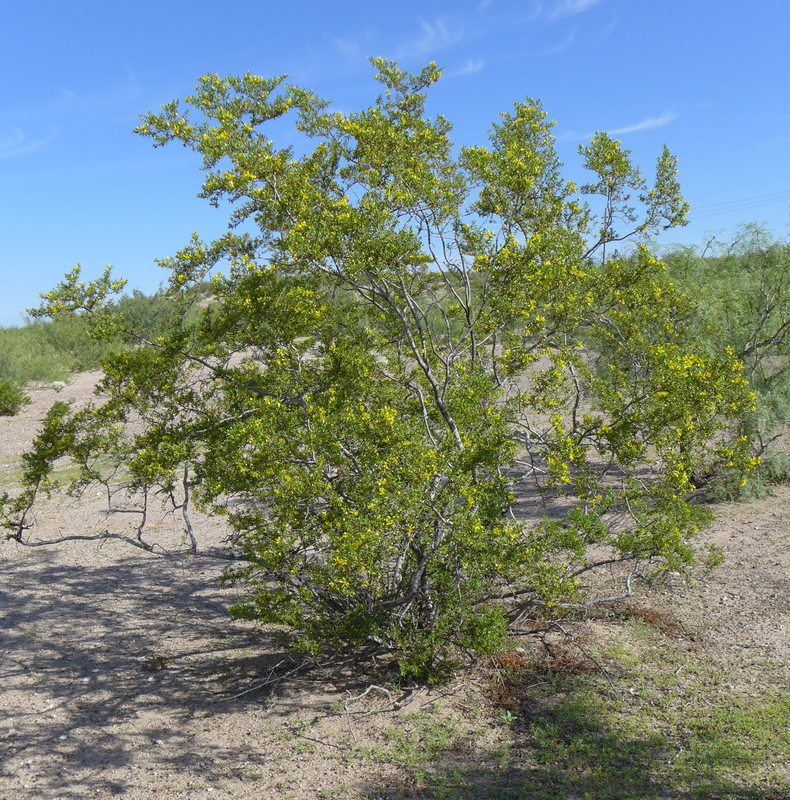 The creosote bushes are covered with small yellow flowers. 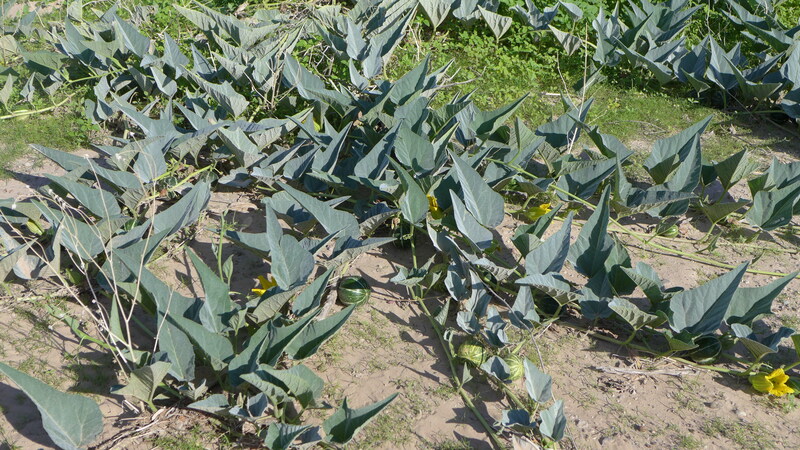 Another plant which appreciates the rain is buffalo gourd. There are already a few gourds on this plant. Come fall, the gourds will be bright yellow balls, which some artisitic people collect to make Christmas tree ornaments. 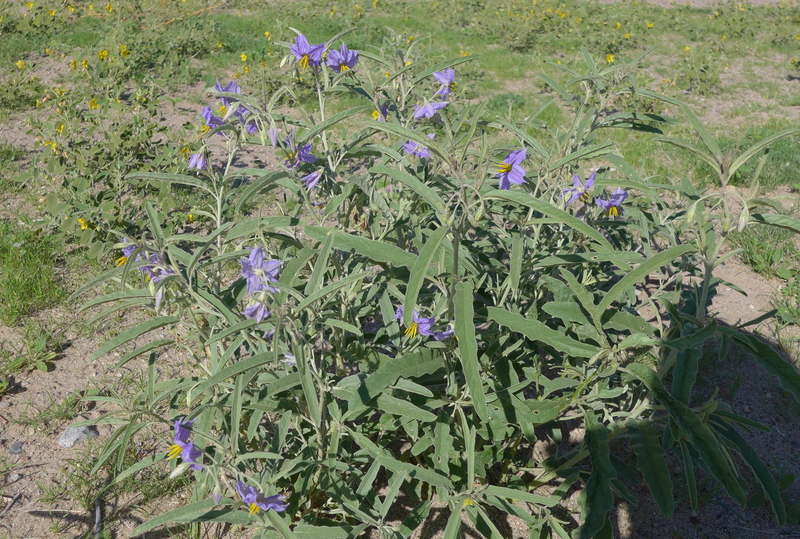 On my way back to the road, I noticed this Texas sage plant. Its brilliant color is in contrast to most of the flora here. 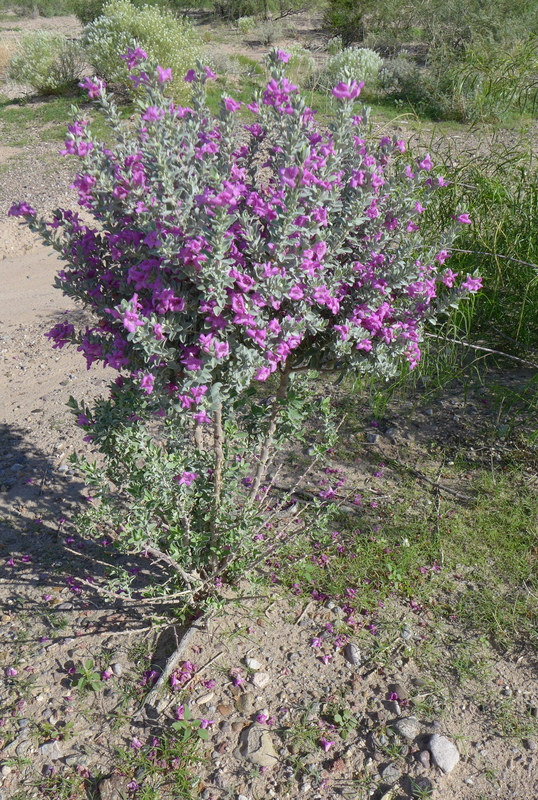 Texas sage is not native here, but well suited to the climate. Some bird brought the seed from somebody’s yard. I’m always surprised at the variety of plants and blossoms a desert supports, and enjoyed seeing these.